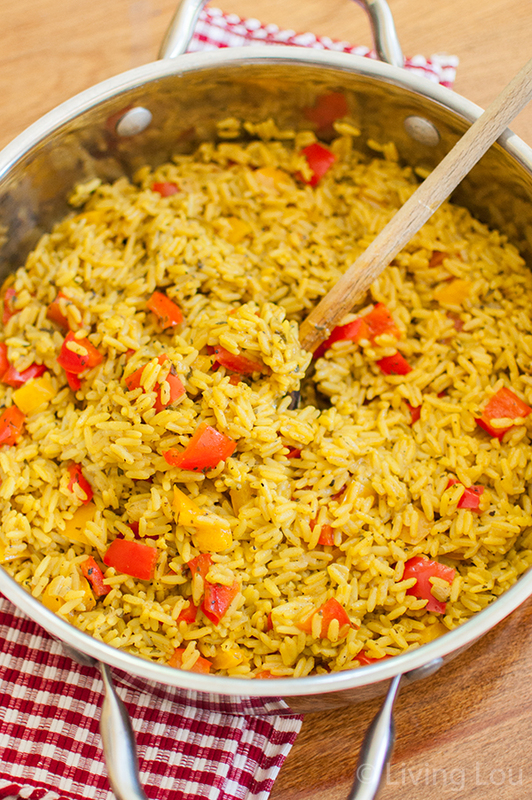 Jazz up rice and add an extra serving of vegetables to your weeknight supper with this simple side dish for bell pepper rice. Do you ever find yourself getting bored of plain old rice? I sure do and that’s why I’m so excited to share this recipe with you today. This recipe for bell pepper rice is packed with flavour and will make you fall in love with rice all over again. Have you ever thought about how crazy it is that people can have completely different tastes in something? Whether it’s food, art or music, each one of us has our own distinct style. As you know, I’ve been travelling throughout Europe with my older sister. Doing all sorts of different things, hitting up the museums, visiting markets in each city (which has quickly become our favourite thing), drinking wine in France and beer in Germany. And not to mention eating everything in sight. But something that I’ve really noticed is just how different our tastes are. She loves yellow, I love navy blue. Anything caramel for her, anything chocolate for me. I love bell peppers, my sister, not so much, but we’re working on it. This rice gets its flavour from the peppers and the help of a few favourite spices; coriander, cumin and turmeric. I couldn’t forget flavour packed herbs so you’ll find parsley and basil in here. I know that it might sound like a lot of flavour for a simple rice dish, but trust me on this one, if you’re looking for a new side to add to your weekly rotation, this rice fits the bill. But what does any of this sister talk have have to do with bell pepper rice? Well, you see, my sister loves rice and well me, not so much. I know, I’m posting a recipe for rice and admitting that I don’t even like the grain? It wasn’t until I amped up the flavour that I really started to love rice. 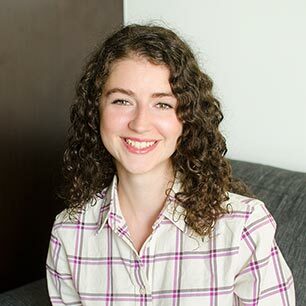 I’ve always found it to be extremely boring and bland, I’d even go as far as to say that I prefer brown rice to white rice, which is an uncommon opinion. When it comes to rice, I always try to either a) avoid it or b) jazz it up. I feel like there are quite a few people out there with the same opinion about plain old boring rice as me, so this recipe is for you. I’ve decided to add sweet bell peppers (both red and yellow) in here for some added flavour and eating more vegetables doesn’t hurt, right? This dish is quite similar to a rice pilaf, if that is something you’re a fan of you are bound to love this dish. So, if you’re on the hunt for a new side dish to make for dinner, give this a try. Add some flavour to boring rice by adding aromatic spices and herbs and sweet bell peppers – this simple rice dish will be your new favourite side dish. In a medium sized pot, heat olive oil over medium heat. Add bell peppers and onion. Cook for 4-5 minutes. Add in garlic, herbs and spices. Cook for another minute or until fragrant. Add in rice, stirring to coat in bell pepper and spice mixture. Add water. Bring to a boil, cover and reduce to a simmer. 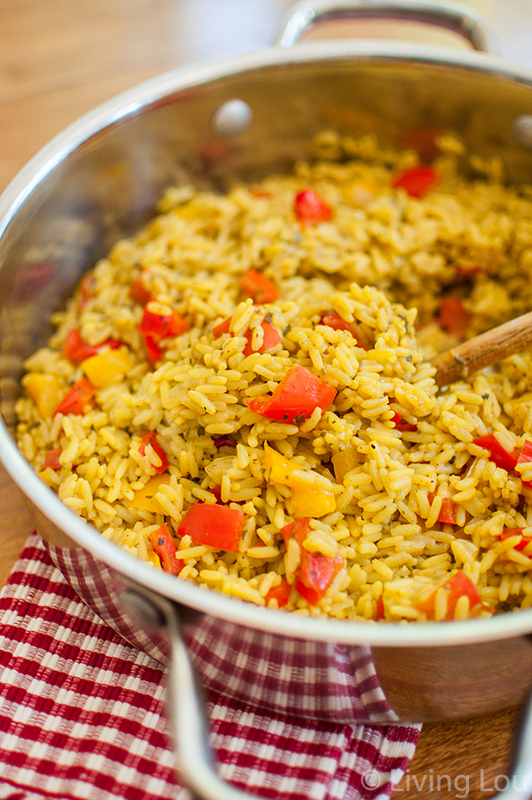 If you’re looking for a new side to add to your weekly rotation, look no further than this recipe for bell pepper rice. Louisa, your rice looks so fluffy and flavourful! Rice is one of my favourite foods in the earth. I cook rice a lot and I am glad you post such a gorgeous rice recipe like this one! Thanks you Olivia, you should definitely give this a try if you love rice! This looks like the perfect side dish for any Mexican meal - yum!! Ooh you're right Rachel, this would go well with a Mexican meal! I'm always on the look-out for new ways to perk up rice. This gorgeous rice looks like it would be well-received in this household! Love all those pretty chunks of peppers! I make this rice all of the time but have added your spices. Yum! The only thing I have always added is vegetable broth rather than water which makes the rice even more yummy. Thanks for the recipe. So glad you've enjoyed this one Maryann! Vegetable broth is a great choice here.